What is the TMA Five Diamond Program? Now Available: TMA Five Diamond Dealer Program! TMA’s Five Diamond Certification provides a competitive edge for your company in the marketplace. The program enables participating companies to display their Five Diamond designation on marketing materials, raising its status in the eye of the public. It improves your position with insurance companies and financial institutions, leading to favorable rates and discounts and increased valuations. Participating companies also gain access to resources and support that will help you advance your business. 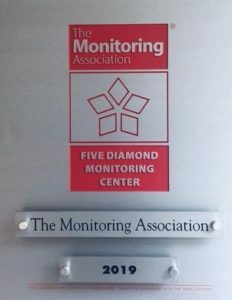 The Monitoring Association, along with the TMA Five Diamond Committee, is excited to announce the new TMA Five Diamond Dealer Program. The program provides Five Diamond Member companies with dealers an additional benefit for participating in the Five Diamond Program. Dealers of currently designated Five Diamond companies who choose to participate will have access to a special logo and will be listed in the TMA website’s Five Diamond section. Why Should You Participate in the Five Diamond Dealer Program? The new distinction between the Five Diamond designated company and Five Diamond dealer logos will help protect the integrity of the Five Diamond logo and Five Diamond designation for currently designated companies. Inviting your dealers to participate in the dealer program can be considered a customer benefit for them. The implementation of this program could expand the reach of Five Diamond to alarm monitoring centers and dealers previously unfamiliar with it. Online Marketing Tool Kit to help companies use the designation to promote their Five Diamond status. (Current participants may request access password from mtodd@tma.us). Verification of status to the public when asked to vouch for your alarm company. New: TMA Five Diamond Dealer Program! Coming in 2019: Updated TMA Level 2 Online Operator Training Course! 100% of current operators have been trained through the TMA Operator Level 1 Online Training Course. US companies must notarize the application form (Note: Canadian companies are exempt from the Notary requirement). Each plaque is $275.00 plus shipping costs. Visit TMA’s online shopping portal to order your plaque. Year plates are provided at no charge to companies upon renewal of designation (one per site location). Questions? Contact Malory Todd at 703-660-4914 or mtodd@tma.us.